Cory is a classically trained musician with over 25 years of experience on the viola. As an orchestral violist he has been fortunate to share stages with such musicians as Randy Newman, Ray Charles, Martin Chalifour, Zuill Bailey, Vadym Kholodenko, Twila Paris and Branson’s Liverpool Legends. Cory greatly enjoys teaching and also live performance and has recently discovered a love for the studio recording. His particular joy comes from film music. Cory received his Bachelor of Music from the University of Central Arkansas and his Master of Music in viola performance form the University of Central Arkansas. He has many years of orchestral experience and chamber/solo experience. 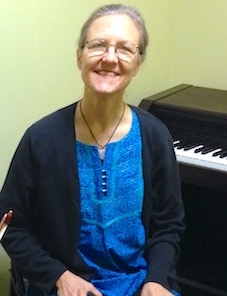 Julie has been teaching music to students of all ages and all levels for 30 years. She has taught music in the public schools and has directed orchestra and choir from the elementary to middle school level. She is also active as a professional musician playing and performing with several regional orchestras and chamber ensembles. Julie also serves as a piano accompanist for choir and individual students as well as performing on piano and organ for church services.. Her teaching style is encouraging and supportive while also maintaining high expectations of her students. She believes lessons should be enjoyable and challenging. Keith Allegretti is a pianist and composer currently pursuing his DMA at the University of Texas at Austin. He has been an active educator in Ann Arbor, Santa Fe, Houston, and Austin, giving private lessons in piano, ear training, sight singing, music theory, and composition. A frequent performer, he regularly plays old and contemporary styles of music on the piano and accompanies vocalists and instrumentalists. Recently, he has performed as a pianist in the University of Texas New Music Ensemble, and as a conductor for the Cohen New Works Festival at UT. 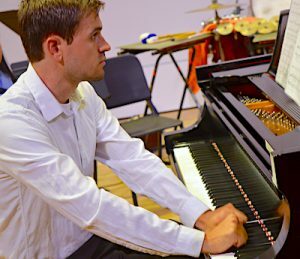 His piano teaching focuses on musical expression, interpretation, and clean technique, with an emphasis on collaborative playing. Antonio Anzaldua is a guitarist, singer-songwriter, and recording engineer living in Austin, Texas. After receiving three scholarships to study music at Cabrillo College in California, he changed majors to focus on recording and production arts. While attending Cabrillo Antonio was selected to play in multiple jazz ensembles and combos, while also performing original music projects in local clubs across the San Francisco Bay Area. With a well rounded, big picture view of music, Antonio is well versed in many genres including Jazz, Funk, Blues, Rock, Reggae and Hip Hop, though he specializes in R&B/Soul. 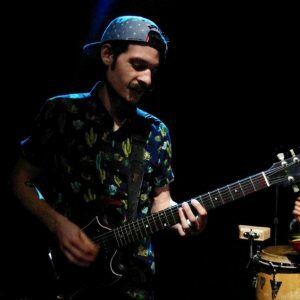 A seasoned guitar instructor, Antonio likes to give students a lot to practice, but teaches in an accessible way suitable to all age and musical levels. He always lets the students dictate what they want to learn, but likes to tie it together with theory and technique. It’s his goal to cultivate each student’s love of music so their development and learning lasts a lifetime. Bruno is a baritone and author from Sao Pedro d’Aldeia, RJ, Brazil. He graduated with honors from the University of Texas Austin (BA English; BM Vocal Performance) where he received both the Butler Excellence Scholarship and the Barbara Smith Conrad Fine Arts Scholarship. Currently based in Austin, TX, Bruno has performed extensively in the Austin area with diverse groups such as The Gilbert & Sullivan Society, Austin, Baroque Orchestra, and Spotlight on Opera. In 2015, Bruno was one of 10 students nationally selected to participate in the Arizona Opera/ASU Winter Vocal Academy. In 2019, he will be performing with the Victoria Bach Festival as Emerging Artist. 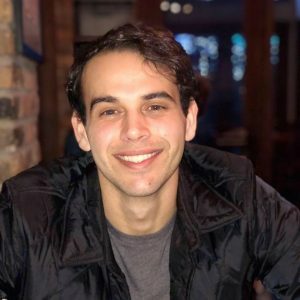 He taught 8th Grade English for two years in RRISD, where he continues as a private lessons instructor in voice both at Premier and Orpheus Music Academy. Grace is a professional singer who teaches voice and piano. 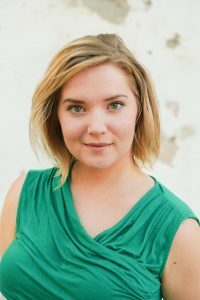 She has over ten years teaching experience and has her Masters in Vocal Performance from The University of North Texas. Grace has taught all ages from elementary to the collegiate level. Not a stranger to performing, she has sung in operas and musicals in the U.S. as well as Italy and Canada. She has also appeared as a soloist for the Abilene Philharmonic with maestro David Itkin. Grace has a passion for acting and directing stage productions as well. She has directed a number of musicals and has worked as assistant director under world renowned opera director Michael Cavanaugh. Grace loves teaching and helping students on their musical journey. She strives to create an encouraging and challenging environment where students can learn and love music. Gabriel Ceballos is an experienced drummer and multi-percussionist living in Austin, TX. 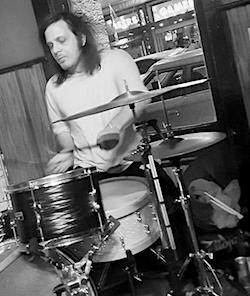 Originally from the East Coast, he has lived and worked in Austin as a drummer for various projects ranging from jazz, neo-soul, funk, blues, psych rock and more. Primarily self taught, he has been playing for over 10 years and brings his background in RnB, Jazz and Hip Hop into live and studio situations. Forever a student of music, his love of the drums and wide range in musical taste give him a unique sound when approaching any artist’s music. Svetlana Clifft was born and raised in Russia. She is a professional musician and music instructor with extensive education from some of Russia’s finest universities along with a decade of teaching experience. She has played with the Round Rock Symphony, Balcones Community Orchestra Austin, Rybinsk Orchestra. She holds a B.A. in Teacher, Music from L.V. Sobinov Music College Yaroslav, Russia and an M.A. from Moscow State Open Teacher’s Training University Moscow, Russia. In Russia she performed a variety of musical styles (baroque, classical, jazz,pop) for violin and piano solo, string quartet, ensemble and orchestra. As a professional teacher she was awarded a diploma for preparation of a prize-winner of the City Contest of Young Violin and Cello Players. She has been playing violin with the Round Rock Symphony Orchestra since 2008. Ms Lana has also had great success with her students receiving “All-State” winner status at the State Festival. Elliott Dunlap has a colorful musical background. Although he began studying the piano at an early age,he first gained attention as a cellist. As a teenager, he became a fellow of the National Symphony Orchestra in Washington, D.C., performed within the orchestra at selected concerts and went on to win the H. Stevens Brewster Memorial Award. He arrived in San Francisco in 1991 and became a cello student of Bonnie Hampton at The San Francisco Conservatory of Music. After deciding to concentrate on the piano with William Corbett-Jones at San Francisco State University, Elliott furthered his studies in London at The Royal Academy of Music and King’s College. Elliott has performed in master classes for such world-renowned artists as Neville Marinner, Lynn Harrell, Janos Starker, Karl Ulrich Schnabel and Elizabeth Powell. Elliott was selected to perform on April 27th, 2005 at San Francisco’s Noontime Concerts on a special series sponsored by the Helen von Ammon Fund for Emerging Artists. Aesthetically, Elliott identifies with pianists whose recordings date from the early twentieth century (Paderewski, de Pachmann, Cortot) and the degree of artistic freedom in their playing that is largely lost today. Originally from Chicago, Chris studied at Northern Illinois University where he earned a bachelors degree in Jazz Performance. Having 20 years of experience studying and playing the guitar, Chris is proficient in jazz, rock, blues, funk, punk, and pop music. 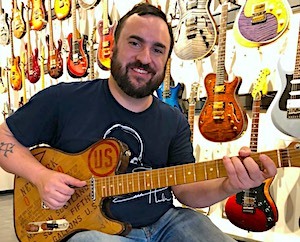 Chris gigs and records regularly with multiple bands in the Austin area, and has played at many of Austin’s premier music venues. In addition to the guitar, he is also a proficient ukulele player and teacher. ​Chris is passionate about music and strives for his students to be passionate. His teaching style is individualized to the students personality, ability, and goals. Teaching a strong grasp on technique and theory, while keeping the lessons up beat and fun through learning songs. He strives to make each student excited about learning the instrument. His goal is to make sure the student walks out of the lesson inspired, ready to practice, and learn more. Susan studied voice at the University of Texas at Austin where she earned her Bachelor’s degree in Music with an emphasis in Choral Conducting. She has studied music for over 30 years, and is an accomplished flutist and vocalist and is also proficient in piano. As a vocalist, she is trained both classically and in the IVA (Institute of Vocal Advancement) Technique which aids the voice in singing in a free and natural manner. While at UT, Susan performed in several ensembles including Concert Chorale and the Longhorn Band. She participates in various volunteer and professional choirs and has performed in venues including the Erwin Center, Bass Concert Hall, and St. Mary Cathedral and for dignitaries including the Governor of Texas and the Bishop of Austin. 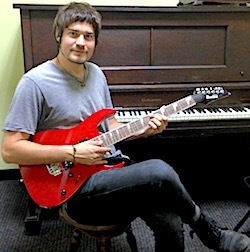 Thomas Metz is a professional guitarist and music instructor in Austin, Texas. Over the past 20 years, he has explored a wide range of musical styles, playing jazz and rock professionally all across the United States with world class artists. Thomas holds a Bachelors Degree in Music for Guitar performance and with over a decade of experience playing professionally. Over the years he has helped many artists and students with instruction, transcription and music theory and he has enjoyed teaching in Austin since 2014. Kaushalie, a Sri Lankan by birth, has been teaching piano for the past 25 years. She started giving piano lessons at a very young age. Professionally, a certified school teacher in Math, she graduated in Geology and Physics from the University of Peradeniya, Sri Lanka, while her interests in the field of music lead her to complete her finals in Piano at the Associated Board of the Royal Schools of Music, London, UK. While in Sri Lanka she presented candidates of all ages for the practical and theory examinations conducted by the Associated Board of the Royal Schools of Music, UK and Institute of Western Music and Speech, Sri Lanka and produced many award winners. ​Kaushalie has varied lesson plans to cater to the needs of students of all ages and different capabilities. Her main goal is to instill a love for learning piano which, she believes, would result in amazing performances. Marc has played drums for 29 years. He started playing drums in middle school and high school. He played in orchestra, marching band, and jazz band. He also played in the Texas A&M Kingsville jazz band. Since the age of 13 Marc has played for various bands from cover bands, latin/salsa bands, rock bands, and worship bands. His teaching style is relaxed and paced for the individual student. His philosophy in drum teaching is to have fun and enjoy the music you are playing. Marc teaches many styles of drum techniques to make for a well-rounded musician. straight ahead Folk and ‘Dirge Swing’ singalongs. Jonathan Wayne earned his BA in Music from Huston Tillotson University with a concentration in Music Performance. Over the years he has worked with children ages 8-17 in education for after school programs as well as summer camps. He is a Jazz Musician who plays piano in a band and as a solo performer. Jonathan is a dedicated musician with 20 years experience in band and choir groups. Jonathan loves teaching students the rudiments of piano and he loves when his students excel and become excited to play and make music. Hailing from Houston, Texas, Lori is an active musician in the Austin area. She currently divides her time between performing with her band, RadioNot, and teaching several different instruments. 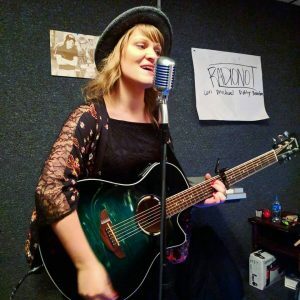 Lori is passionate about sharing her musical knowledge with all ages and levels, with a focus on building the confidence students need to perform in front of others. Aside from piano and guitar, Lori also offers lessons geared towards students interested in singing and songwriting. Elizabeth Wirtz is a pianist and a teacher. She has been teaching and accompanying in the Central Texas area for over 20 years. Elizabeth earned a Bachelor in Music in Piano Pedagogy from UT and Masters in Music in Piano Performance from Texas State. She has taught piano at Concordia and is currently teaching and accompanying at the University of Mary Hardin-Baylor in Belton, TX. Elizabeth lives in Round Rock with her husband, two daughters and two dogs.